If you have experienced a motorcycle accident, you’d know that such accidents lead to more grief than car accidents. Motorcycle accidents are in fact majorly caused by car drivers having no regards for motorcyclists. The accidents are dangerous and can lead to severe injuries like loss of body parts, head trauma and in worse cases, death. 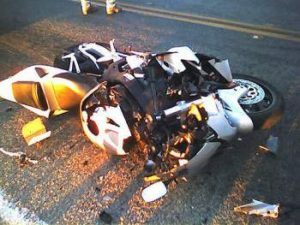 In the tragic event of a motorcycle accident, you would do yourself a wealth of good if you have the legal backing of a reliable, reputable law firm like Rawa Law Group.Should you need an adept motorcycle accident attorney to help you win the legal tussle for adequate compensation for your injuries, pain, and suffering, we at Rawa Law Group are at your service. Our motorcycle accident attorneys are very well experienced and have a wealth of knowledge in this field. With over 10 years of helping claimants in Carson, CA in receiving compensation for their pains and suffering in similar motorcycle accidents, we are focused on helping you get yours.